The County Clerk has one of the most diverse jobs of all county elected officials. Elected by partisan ballot every 4 years, the Clerk has five distinct titles as outlined in Idaho Code. Elected as the Clerk of the District Court he also serves in an ex-officio capacity as the County Auditor and Recorder. Additionally, the position is the Clerk to the Board of County Commissioners and the Chief Elections Officer for the entire county. The Bonner County Clerk, by Code, also oversees the County Assistance Office. Over 40 deputy clerks work in the various offices under the Clerk assisting him in serving the public in carrying out these duties. Future projects in the County Clerk’s offices will involve the transition to a paperless environment in the Courthouse. The Odyssey program will begin in two counties in 2015, then expand into other counties. 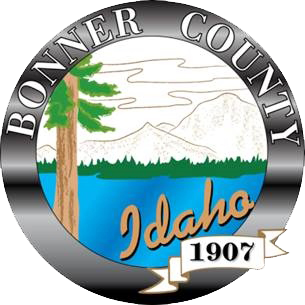 If all goes well, Bonner County can expect to be brought online in late 2017. This will eliminate the high cost of offsite storage. Idaho Supreme Court – The latest decisions. Idaho Association of Counties – Links to the 44 Idaho Counties and other information.